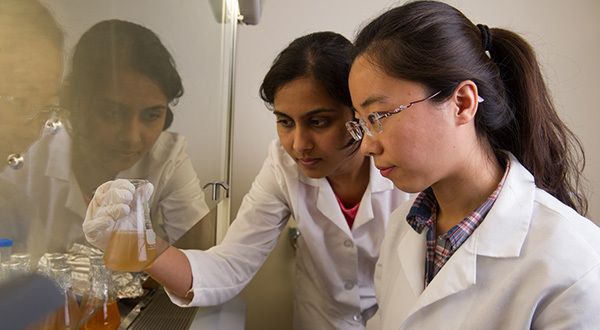 At Southern Illinois University Edwardsville, undergraduate students participate in exciting research and scholarly activity. SIUE’s Undergraduate Research and Creative Activities (URCA) program offers undergraduate students one-on-one mentoring from SIUE professors and an introduction to research early in their undergraduate program. URCA participants receive local, regional, national and international awards for their work. Many URCA students co-author research published in scholarly journals and presented at professional conferences. Join an active learning community at SIUE. Apply today!